Philmore’s inquest will be taking place between the 8th of February and 4th of March at Reading Town Hall. Please attend and show your support and solidarity. A preliminary inquest into the death of Philmore Mills took place on the 9 October 2014. The 57-year-old, of Tamar Way in Langley, died in 2011 after being restrained by police officers at Wexham Park Hospital in Slough. 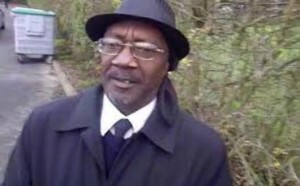 Family and friends have since campaigned for answers about his death which has included holding vigils and setting up a Facebook page called Justice for Philmore Mills. The preliminary inquest, which was held at Windsor Guildhall, the details of the case were fine-tuned in preparation for a four-week inquest.